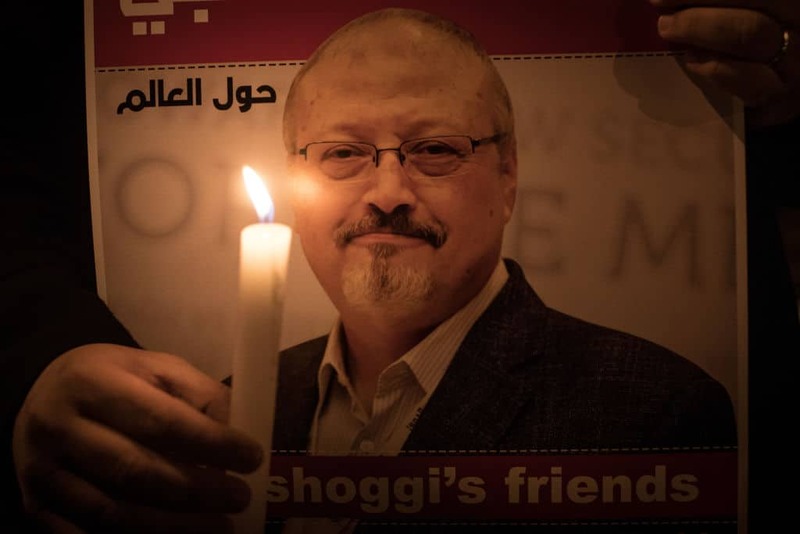 Half a year after journalist Jamal Khashoggi entered the Saudi consulate in Istanbul, and was never seen alive again, an interview in a documentary may reveal much about his death, including how it was covered up, and how long it was planned before the plot was carried out. The recorded conversation, which can be heard in part below, details the building of an oversized oven, which the builder says was designed to be large enough for a man. Turkish investigators believe a huge oven was built at the Saudi consul's home, specially to dispose of Jamal Khashoggi's body. We spoke to the man who built the oven. That’s only the beginning. The builder of the oven took secret photos in April 2018, showing the progress of the project — and demonstrating that there was at least some intended use for it many months before Khashoggi’s disappearance. Al-Jazeera‘s full documentary, here, includes details from the recordings that were made of the encounter, with the journalist asking his assailants not to cover his mouth because of his asthma, and describes the dismemberment taking half an hour to complete with a bone saw. After that, investigators believe the body was transported in bags to the home of the Saudi consulate general, where the large outdoor oven had been constructed. The documentary outlines the evidence that the oven, hot enough to melt metal, then burned for three days. In November, seven weeks after Khashoggi entered the consulate building, U.S. President Donald Trump released a statement. In doing so, he casually dropped mention of association with the Muslim Brotherhood, before quickly assuring the American people this had no bearing on his decision to stand with Saudi Arabia. He touted King Salman bin Abdulaziz Al Saud and Crown Prince Mohammad bin Salman’s denial of knowledge of the murder. However, it’s not the first time that Trump went against U.S. intelligence agencies. Days before his statement, the CIA expressed a different view of the Crown Prince’s involvement. As the Washington Post reports here, the CIA had already concluded, that he was the one who ordered the assassination. The documentary was initially released on Al Jazeera Arabic early last month but is now available with English subtitles on Al Jazeera English.